I never took an art appreciation course in college. 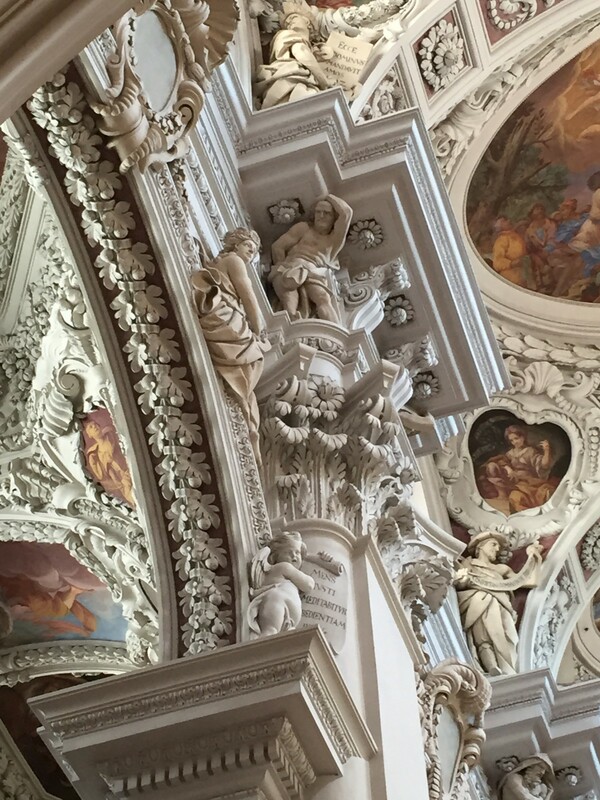 Over the years I picked up on the fact that Baroque art and architecture are heavily ornate and complex, but on this trip through the heart of Europe I learned why. 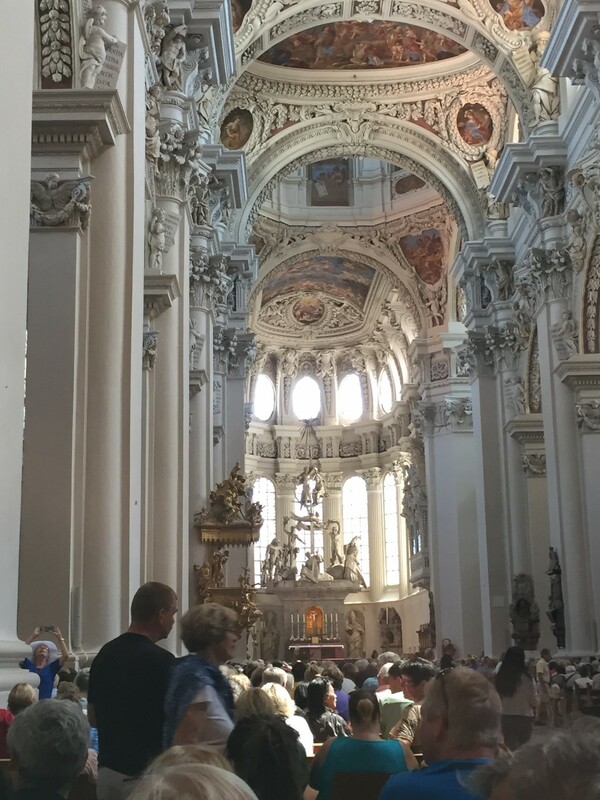 The lovely Baroque churches of Europe were created to demonstrate visually for a mostly illiterate populace the grandeur of God and His heaven. 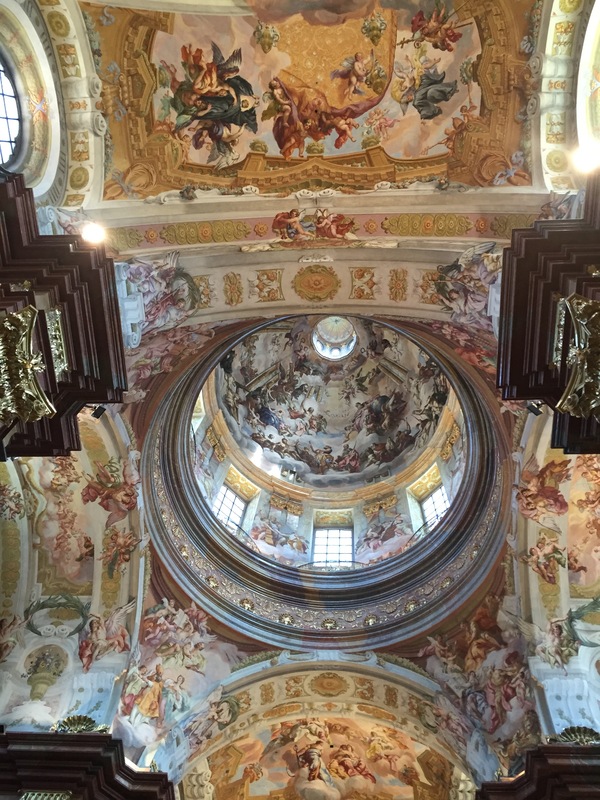 Our tour guide at Melk’s Benedictine Abbey explained that the church was built as an audience for God. The ceiling presents a portrait of the beauty of God’s Heaven. The bottoms of the church’s pillars are ordinary, unadorned, to demonstrate the plainness of everyday existence on earth. The bottoms of the pillars suggest the drabness of human existence on earth, but as congregants look upward, they see the beauty and grandeur of Heaven in the gilt and ornamentation higher up. This use of decoration served to remind people that Heaven is better than earth and that they should follow the church’s teachings if they wanted to end up in Heaven.